Our fast, state-of-the art in-house technology enables us to deliver a prompt, reliable service to suit all your printing needs. We are well equipped for your entire office stationary printing requirements including business card printing. A business card is a helping hand to success. Handing over that card could lead you to a new job, a great business partnership or even help your business prosper. 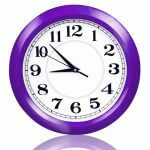 Having your details to hand and readily available saves you time and makes you look professional. You won’t need to fumble around with a pen or scribble your phone number down on paper that could easily be scrunched up, torn or thrown away. Choose between quality single or double sided business cards printed on 400 GSM matte or silk stock. You can then either have them gloss or matt laminated for a premium finish. Our top of the range printers in our production centre can handle all your business card printing requirements. Not only are business cards your first point of contact but they also provide important, tangible information for others. Therefore, you need a sturdy board to display your information. 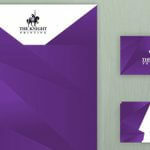 The Knights Printing can provide you with strong, quality business cards that will make you look professional. Our dedicated team can advise you on what’s best for your specific project such as the size or what GSM you may need, and carry out the finest printing services from start to finish. 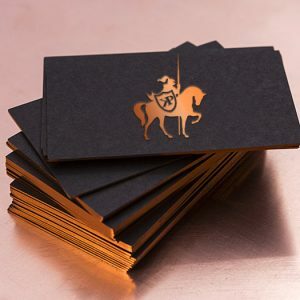 You can also go for our luxury range personal or corporate stationaries, invitations, business cards – where you can do standard 350-400gsm or much thicker cards of 700gsm or thicker if needed and have a huge range of very exclusive papers from the brands like G F Smith, Conqueror, etc. with outstanding gold/silver or single colour foil, raised text/thermography, emboss/debossed card, gold/silver edging to make it look and feel wonderful. Our Luxury range takes around 7-10 working days to produce but if needed quicker please contact us and we will try to help. We offer a same day service for small print solutions, including office stationary and business cards. Our 24-hour service means we can get your prints to you within mere hours. We assign a dedicated project manager to every client to organise the whole process from design to delivery and ensure your exact requirements are met. For more information on our business card printing solutions or to discuss your printing options please get it touch. 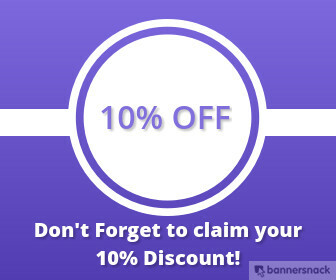 Call us on 0207 043 9347 or email sales@theknightprinting.co.uk.